#1 Rated Montgomery, AL Restaurant on Tripadvisor! 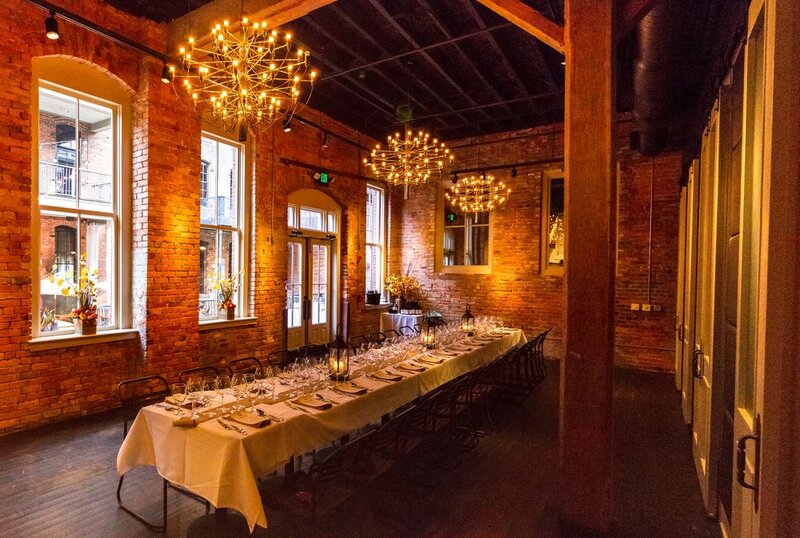 Central is an upscale casual restaurant and event venue, located in the heart of Montgomery’s Downtown entertainment district. Central is proud to be the #1 rated restaurant in Montgomery, AL on TripAdviser and the 2018 OpenTable Diners' Choice Award recipient for the fourth year in a row! Central offers three private event rooms accommodating 10-300 of your family and friends! Central is located at 129 Coosa Street and is open for lunch 5 days a week and dinner 6 nights a week. For reservations and more information, call 334.517.1155. We highlight local and seasonal ingredients utilizing fresh Gulf seafood, local meats, greens and more, offering a unique approach to comforting classics. This locally owned gem offers wood-fired dishes in an 1890’s warehouse space boasting exposed brick, flickering gas lanterns and a bustling open kitchen. Jason enjoys cooking with local & interesting ingredients created with passion and superior technique to deliver a dish to your table that is artistically plated and cooked from the heart. From humble beginnings as a short order cook at his family owned Huddle House in Brunswick, GA to graduating from the world renowned Greenbrier Culinary Apprenticeship Program in West Virginia, Chef Jason has traveled across the South for nearly two decades expanding his career in the culinary industry.